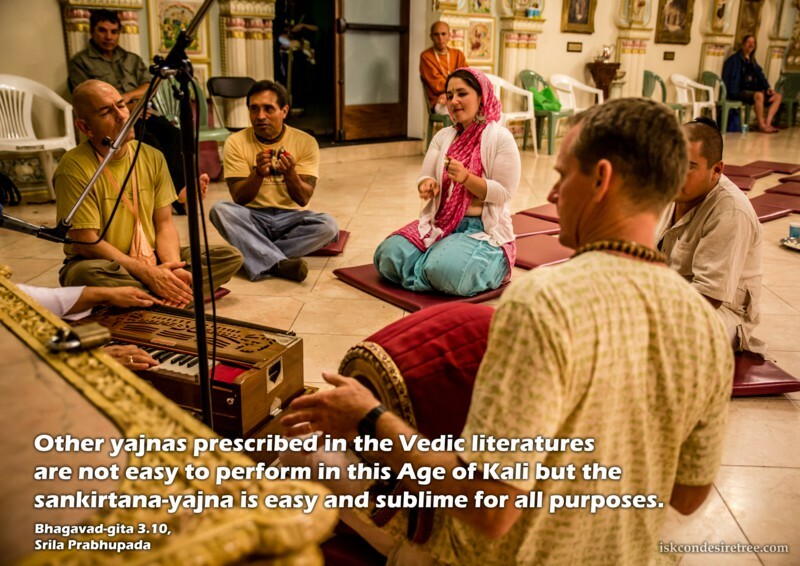 Other yajnas prescribed in the Vedic literatures are not easy to perform in this Age of Kali, but the sankirtana-yajna is easy and sublime for all purposes. That is my ideal of life, to form a nice group of devotees to perform Sankirtana and to distribute our books in wider circles. Letter to Gurudasa – Los Angeles 5 February, 1969. Chaitanya Mahaprabhu is the incarnation of the Supreme Personality of Godhead in this age of Kali, and He will be easily satisfied if the sankirtana movement is spread vigorously all over the world. The slow march of the sankirtan slowly but steadily takes us back home, back to Godhead.